Bilateral relations between Burma (officially the Union of Myanmar) and the Republic of india have improved considerably since 1993, overcoming strains over drug trafficking, the suppression of democracy and the rule of the military junta in Burma. Burma is situated to the south of the states of Mizoram, Manipur, Nagaland and Arunachal Pradesh in Northeast India. The proximity of the People’s Republic of China give strategic importance to Indo-Burmese relations. The Indo-Burmese border stretches over 1,600 miles. India was one of the leading supporters of Burmese independence and established diplomatic relations after Burma’s independence from Great Britain in 1948. For many years, Indo-Burmese relations were strong due Burma previously having been a province of India, due to cultural links, flourishing commerce, common interests in regional affairs and the presence of a significant Indian community in Burma. India provided considerable support when Burma struggled with regional insurgencies. However, the overthrow of the democratic government by the Military of Burma led to strains in ties. 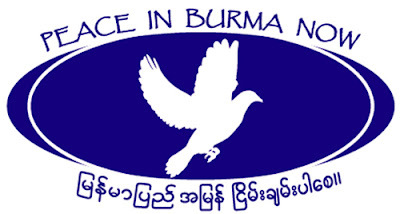 Along with much of the world, India condemned the suppression of democracy and Burma ordered the expulsion of the Burmese Indian community, increasing its own isolation from the world. Only China maintained close links with Burma while India supported the pro-democracy movement. A major breakthrough occurred in 1987 when the then-Indian Prime Minister Rajiv Gandhi visited Burma, but relations worsened after the military junta’s bloody repression of pro-democracy agitations in 1988, which led to an influx of Burmese refugees into India. However, since 1993 the governments of the Indian Prime Ministers P.V. Narasimha Rao and Atal Bihari Vajpayee changed course and began cultivating ties with Myanmar, as part of a wider foreign policy approach aimed to increase India’s participation and influence in Southeast Asia and to counteract the growing influence of the People’s Republic of China..
India is the largest market for Burmese exports, buying about USD 220 million worth of goods in 2000; India’s exports to Burma stood at USD 75.36 million. India is Burma’s 4th largest trading partner after Thailand, China and Singapore, and second largest export market after Thailand, absorbing 25 percent of its total exports. India is also the seventh most important source of Burma’s imports. The governments of India and Burma had set a target of achieving $1 billion and bilateral trade reached USD 650 million U.S. dollars by 2006. The Indian government has worked to extend air, land and sea routes to strengthen trade links with Myanmar and establish a gas pipeline. While the involvement of India’s private sector has been low and growing at a slow pace, both governments are proceeding to enhance cooperation in agriculture, telecommunications, information technology, steel, oil, natural gas, hydrocarbons and food processing. The bilateral border trade agreement of 1994 provides for border trade to be carried out from three designated border points, one each in Manipur, Mizoram and Nagaland. On February 13, 2001 India and Burma inaugurated a major 160 kilometre highway, called the Indo-Myanmar Friendship Road, built mainly by the Indian Army’s Border Roads Organisation and aimed to provide a major strategic and commercial transport route connecting North-East India which connects South Asia with Southeast Asia. India’s move to forge close relations with Burma are motivated by a desire to counter China’s growing influence as a regional leader and enhance its own influence and standing. Concerns and tensions increased in India over China’s extensive military cooperation and involvement in developing ports, naval and intelligence facilities and industries, specifically the upgrading of a naval base in Sittwe, a major seaport located close to the eastern Indian city of Kolkata. India’s engagement of the Burmese military junta has helped ease the regime’s international isolation and lessen Burma’s traditional reliance on China. Both nations sought to cooperate to counteract drug trafficking and insurgent groups operating in the border areas. India and Myanmar are leading members of BIMSTEC and the Mekong-Ganga Cooperation, along with Vietnam, Laos, Cambodia and Thailand, helping India develop its influence and ties amongst Southeast Asian nations. India was slow and hesitant in reacting to the 2007 Burmese anti-government protests that had drawn overwhelming international condemnation. India also declared that it had no intention of interfering in Burma’s internal affairs and that the Burmese people would have to achieve democracy themselves. This low-key response has been widely criticised both within India and abroad as weakening India’s credentials as a leading democratic nation.